AcclaimPOS makes it easy for you — and your wait staff — to learn the many benefits of our leading restaurant management software. Developed by restaurateurs (not programmers), our user-friendly design and interface enables owners to easily enter menu offerings, options and pricing. Plus, our color- coded menu display allows wait staff to quickly identify orders, insert special instructions and relay orders to the kitchen — all without leaving the floor. It’s simply brilliant! - Imagine how simple it’ll be for busy wait staff to take orders, add special instructions, change orders if needed and run tabs by a touch of a finger! Imagine how simple it’ll be for your busy kitchen and bar staffs to prepare an accurate, printed, easy- to-read order immediately after it’s placed! Imagine how simple it’ll be to satisfy your customers with faster and more accurate service! It’s simply brilliant with AcclaimPOS! - How will you profit more with the power of AcclaimPOS? 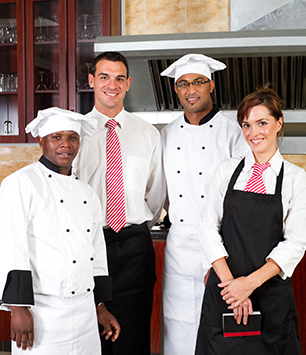 Your wait staff will easily transact orders more accurately and quickly. Your kitchen and bar teams will prep foods and beverages faster. Your customers will enjoy a more satisfying experience, one they’ll want to repeat. That means you’ll turn tables faster, increase revenue per hour, improve productivity, reduce costly errors and — to top it off — closeout every day with perfect accounting. That’s simply brilliant! 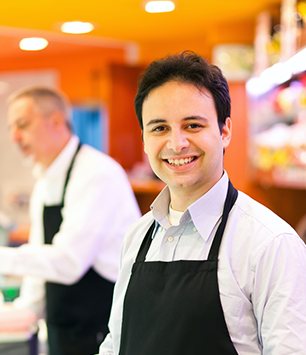 - AcclaimPOS makes it easy for you — and your wait staff — to learn the many benefits of our leading restaurant management software. Developed by restaurateurs (not programmers), our user-friendly design and interface enables owners to easily enter menu offerings, options and pricing. Plus, our color- coded menu display allows wait staff to quickly identify orders, insert special instructions and relay orders to the kitchen — all without leaving the floor. It’s simply brilliant!